As the warm weather has begun to peak its head out we are already see Reno gas prices rise. The average gas price in Reno is currently $3.73. This is .17 cents higher than the state average and .21 cents higher than the states average. Historically gas prices rise in the summer but overall gas prices are predicted to lower over the course 2014, but it hasn’t been seen yet. The top 3 stations for the lowest gas prices in town are at Discount Gas & Liquor on Yori Ave, Costco on Harvard Way, and Sam’s Club on Kietzke Ln. 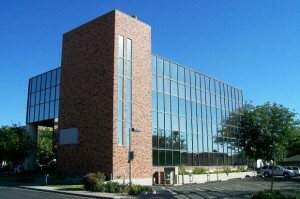 NAAISC, the Nevada Advanced Autonomous Systems Innovation Center, has found a its home at the University of Nevada’s newly acquired Sinclair Building, located in Reno’s midtown. At the end of 2013, the Federal Aviation Administration announced that Nevada would be one of six states designated to begin testing drones for commercial use. Each of the six test sites will focus on specific aspects of commercial drone use. Nevada’s concentration will be on standards, operations and certification requirements, as well as, air traffic control procedures. The research and testing will take place at Boulder City Municipal Airport, Reno Stead Airport, Fallon Naval Air Station and the Nevada Nation Security Site. If you are a businessman or women staying in the Reno-Tahoe area and want to hear anything specific about the local economy or business market, let us know. We would love to get feedback on the questions you have when considering doing business in Reno. StayWithCHC.com is an independent temporary housing service focused on finding you the best possible corporate housing fit. To provide you with peace of mind, we offer only the highest quality of furniture, decor and household goods in all of our conveniently located temporary housing properties.